Bail Bonds in Dallas are what we do best! Getting arrested is not something that most people plan for. There are several infractions that can result in someone being arrested. Depending on the nature of the crime, law enforcement officials have no choice but to perform an arrest. No matter who it is that gets arrested, their friends and loved ones will most likely be concerned about their wellbeing. And will have questions like: “How do we get them out of jail quickly and legally?” In a situation like this your best bet is to use the services of a Dallas Bail Bonds Company. If you find that you or a loved one have been arrested, having your Bail Bonds Dallas Company on your side could help provide the stress relief you need. The experience can be very frightening and confusing, not only for you but for your family and friends too. You may have heard about posting bail or getting bail bonds, but you may not know the first steps to take or know if you’re even eligible for a bail bond. That’s where Southern Bail Bonds Dallas comes in. Working with our Dallas Bail Bondsmen can be extremely beneficial, especially if you don’t have the full amount of the bond. 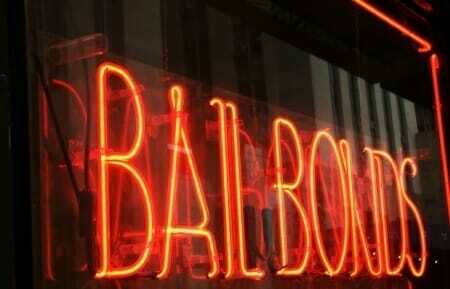 We offer bail bonds financing with no credit check and fast approvals. We often say “Yes” when others say “No”! We can post Dallas bail bonds for a fraction of the cost you would have to pay if you posted a cash bond. And, your friend or loved one would be released and back to you quickly. We can guide you through the entire Bail Bonds Dallas process, answer any questions you may have and assist you with keeping up with your court dates. We’re here and ready to help you whenever you need Dallas County Bail Bonds. Looking for Bail Bonds in Dallas, TX? Call us now! Our Bail Bonds Dallas Agents are ready to help – 214-372-2500. We can start the bonding process right over the phone. Got warrants for traffic tickets? We can help with those too! And don’t forget to check us out on Judy’s Book.